LOUISVILLE, Ky. – Operation Military Cheer will make Christmas a little brighter for 11 Kentucky Air National Guard families this year. 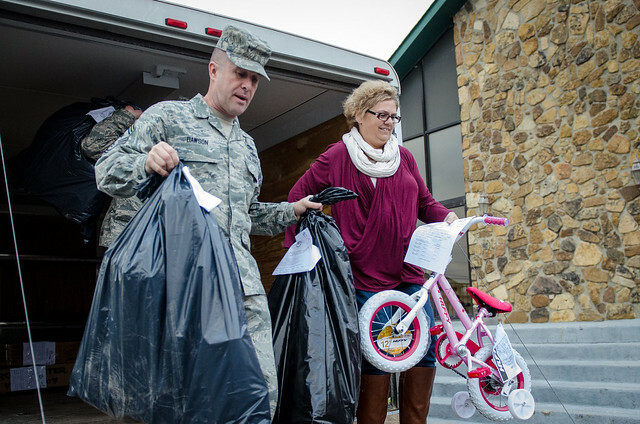 The annual campaign, coordinated in partnership with Cindy Culver and Linda Jones of the Kentucky National Guard Youth Program, collected dozens of toys, games and bicycles for 12 children of Kentucky Air National Guardsmen. 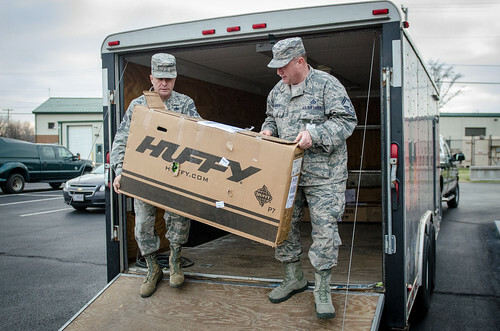 The gifts were donated by the American Legion Auxiliary’s Anderson Unit 34 in Lawrenceburg, Kentucky, according to Amy Quimby, Airman and Family Readiness Program Manager for the Kentucky Air Guard’s 123rd Airlift Wing. “I truly appreciate the amazing support from the American Legion Auxiliary’s Anderson Unit 34,” Quimby said. “They went above and beyond with the Operation Military Cheer program to assist our families. Operation Military Cheer provided gift cards, clothes, shoes and toys to 454 children of Kentucky National Guard Airmen and Soldiers last year.